Dusan Tadic has been a standout player for Ajax this season with his goals & assists output just one of the interesting head to head stats we want to focus on ahead of Ajax vs Juventus tonight. What are the key stats ahead of the clash and how are those informing some of our bets? 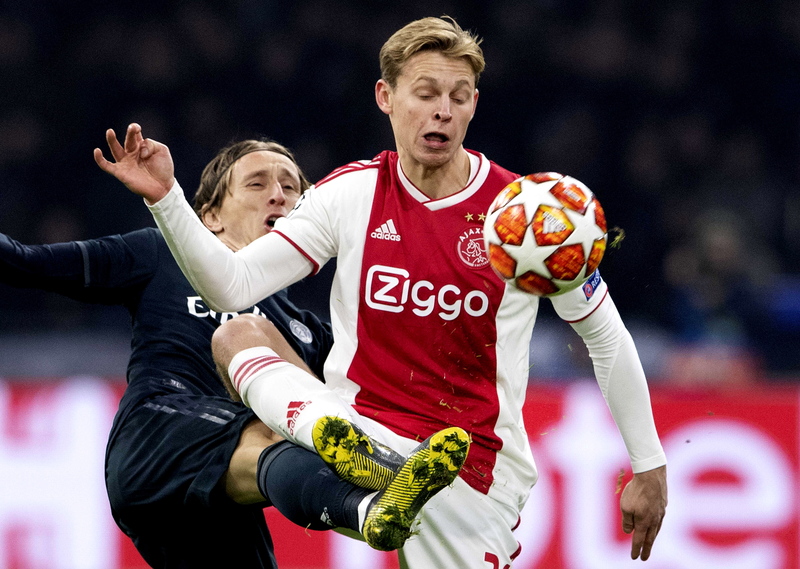 An intriguing Champions League quarterfinal first leg is in store here as two traditional European giants meet in Amsterdam with a young, improving Ajax team taking on the seasoned veterans and winners Juventus. The visitors will be boosted by the return of their talisman Cristiano Ronaldo, a man who has won this competition five times. Ajax eliminated Ronaldo's old club and defending European Champions Real Madrid, and they will play with no fear. Juventus is unbeaten in each of their last nine European matches against Ajax (W5 D4), including a draw in the 1996 Champions League final before going on to lift the trophy thanks to a penalty shootout victory. Ajax will host Juventus in a Champions League encounter for the first time since September 2004 in the group stages, when they fell to a 0-1 defeat thanks to a Pavel Nedved strike for the Italians. Only Lionel Messi (11) has had a direct hand in more goals in this season's Champions League than Ajax's Dusan Tadic (nine - six goals, three assists). Juventus striker Cristiano Ronaldo has scored seven goals in his past four Champions League matches against Ajax, including a hat-trick for Real Madrid on his last visit in October 2012. Only against Bayern Munich (nine) and his current side Juventus (10) has Cristiano Ronaldo scored more Champions League goals than he has against Ajax (seven).